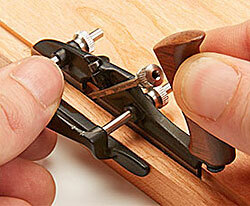 An intriguing gift for any woodworker, this is a 1/3 scale working model of the Veritas small plow plane. 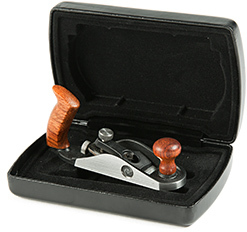 The latest in the Veritas line of miniature tools, it is only 76 mm long and weighs less than 85 g.
Made from investment-cast and machined steel, it has a wooden tote and a 2.4 mm A2 wide blade for cutting slots. 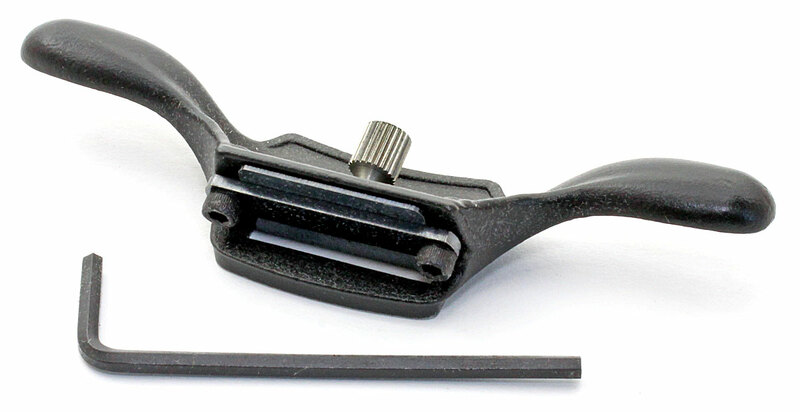 The fence is adjustable for offset. 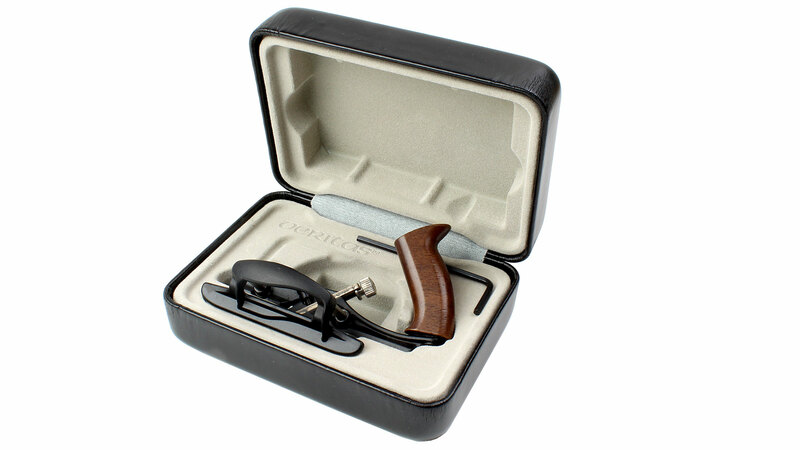 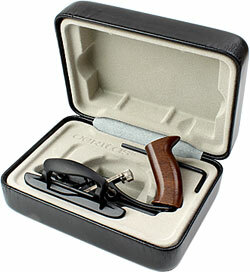 It comes in a French-fitted embossed leatherette box. 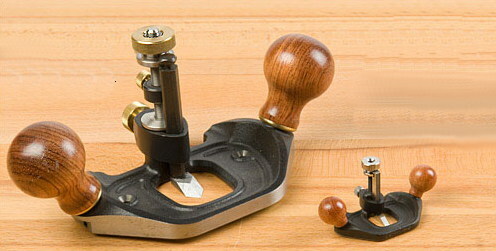 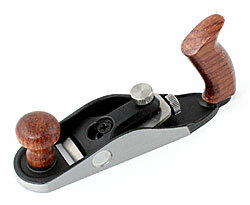 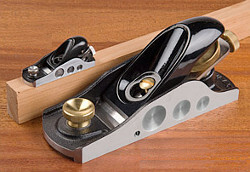 This 1/3-scale version of the iron edge plane is a fully functional miniature. 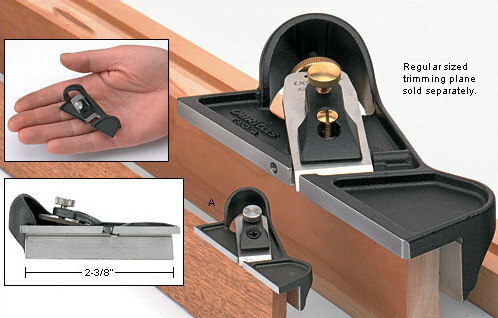 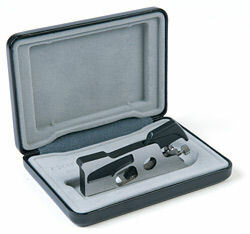 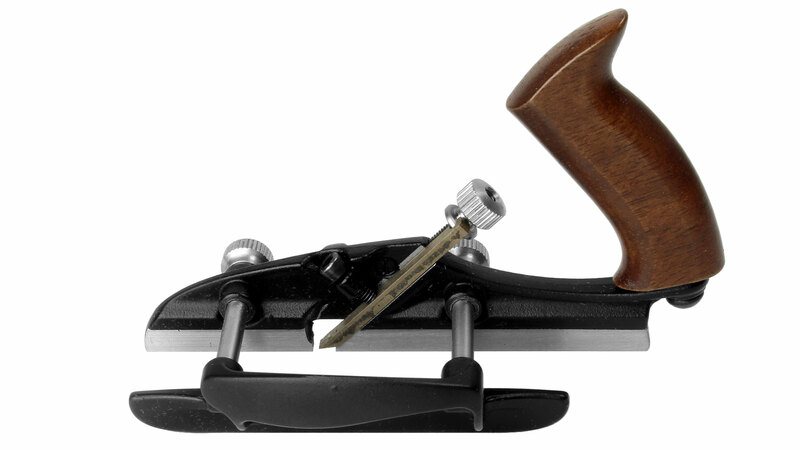 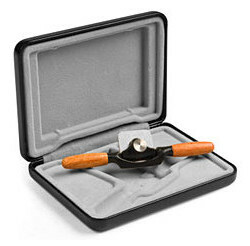 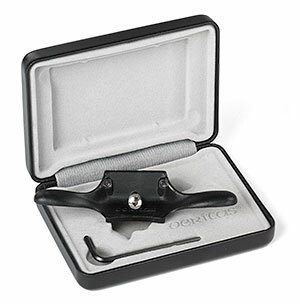 Useful for fine trimming work on thin stock up to 3/8 inch (9.5 mm) thick, such as with small-scale boxes or maquettes, it fits the hand well, making it easy to control under fingertip pressure. 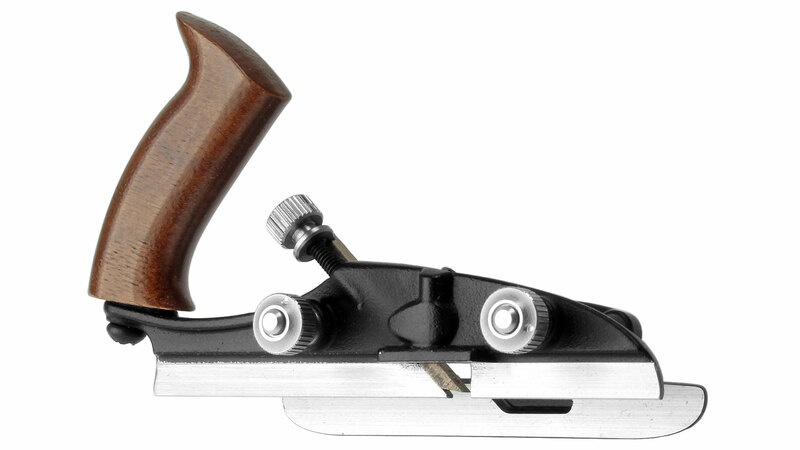 Note: this is a right handed plane! 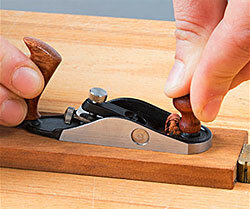 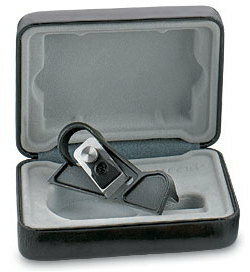 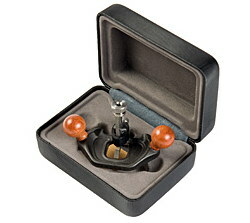 This cabinet scraper is the latest addition to the Veritas line of fully functional miniature tools. 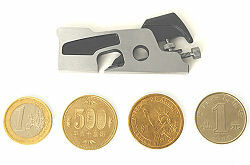 At about 1/3 the scale of the full-size tool, it measures 3-13/16 inch (81 mm) wide overall and weighs about 425 g. Its small size allows fine control when smoothing surfaces. 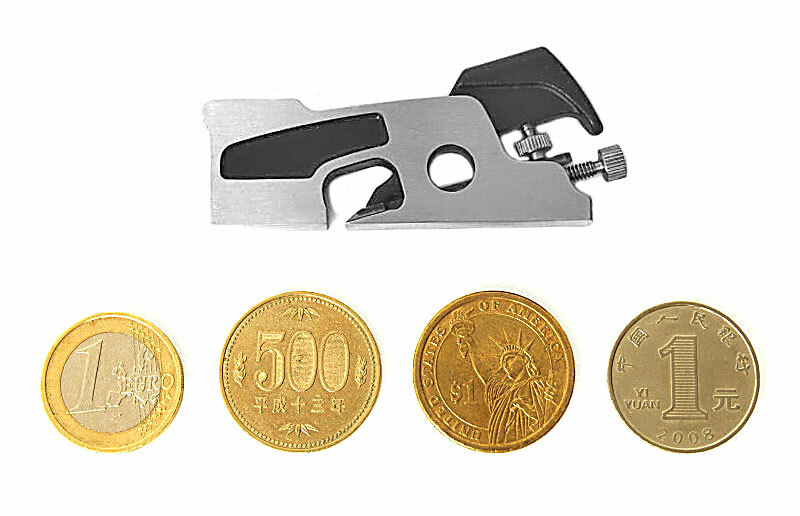 The 15/16 inch (24 mm) wide blade, made of spring steel and ground at a 45° angle, is held at a consistent depth and angle. 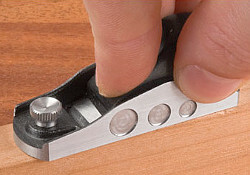 A thumbscrew lets you camber the blade to prevent blade corners from leaving ridges in the work. 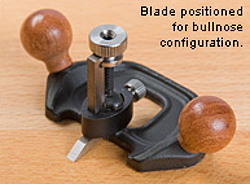 The handle position lets you apply force directly in line with the cutting edge.